Go Bananas announces a new Build Your Own Party Package!! * Table Cloths, Plates, Cups, etc. Go Bananas will reserve tables for your group in our Party Room including a Party Pro to take your orders, deliver food and drinks to your tables, and clean up after party. Receive a 25% discount coupon per rented table to apply to up to $100 of your purchases including Ride Wristbands, Game Tokens, Pinatas, Party Decorations, Table Settings, and Food and Beverages. 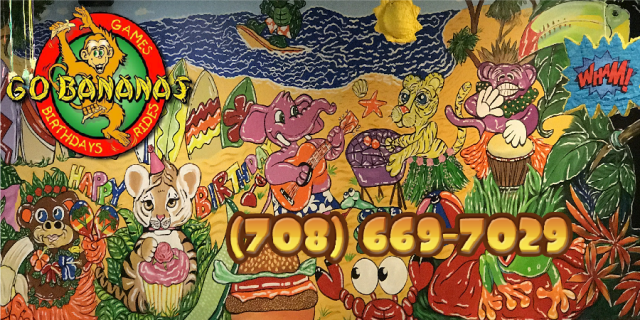 Call our party planners at 708-669-7029 to reserve your party.